The sakura (Japanese cherry blossom) has long been a traditional icon in Japanese culture and is a symbol of spring. In 2008, the Vancouver Cherry Blossom Festival (VCBF) started the Sakura Days event. In 2009, several of Vancouver’s leading Japan-Canada business associations formed the Japan Fair Organizing Committee and joined forces with the VCBF to create a unique Japanese-Canadian festival event. At Sakura Days Japan Fair you can experience modern and traditional Japanese cultural arts, cuisine and business. It will take place at the spectacular VanDusen Botanical Garden. Soak in the wonderful Japanese festival atmosphere and enjoy delicious Japanese food and sake, cultural performances, arts and crafts and learn about Japanese culture and business. 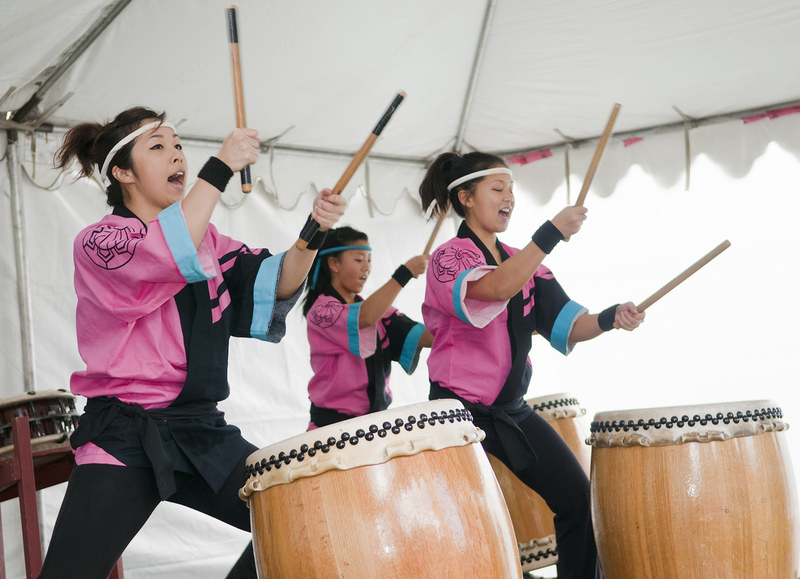 Enjoy taiko drumming, martial arts, koto (Japanese harp), dance and singing performances. Participate in a tea ceremony, or learn about ikebana (flower arranging), origami (paper folding), haiku or calligraphy and try getting dressed in an authentic yukata. Yakitori; onigiri; takoyaki; ramen; gyu-don; gyoza; oden; matcha waffles, chocolates, and macarons; healthy drinks; Japanese style hotdogs, sweets, curry and other gourmet delicacies! Japanese influenced jewellery, tableware, soap, accessories, handicrafts and clothing for kids, adults and pets; shiatsu; photos; travel info. and Japanese eco-friendly cars and motorcycles.